Taipei Medical University Health System introduced the da Vinci Surgical System in November, 2011, and has implemented in different surgical procedures serving over three-thousand patients. 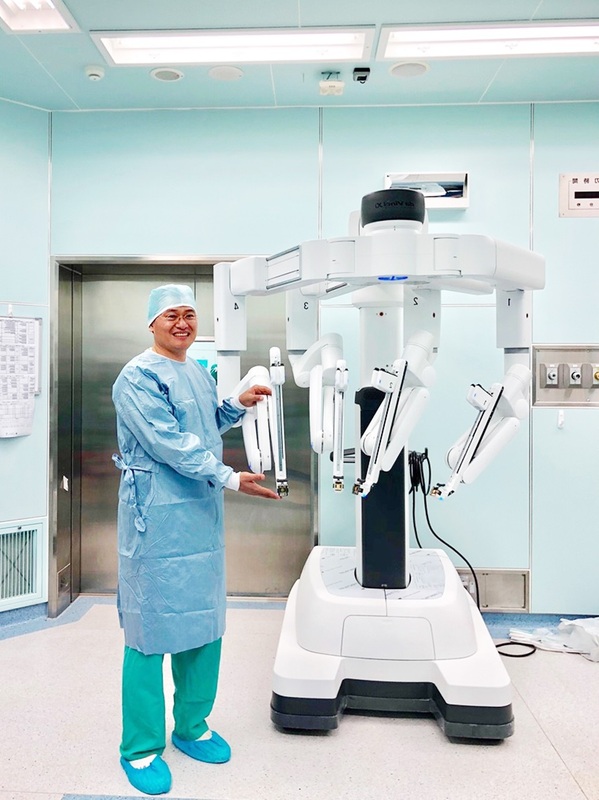 Wanfang hospital also introduced this System in December, 2017.The da Vinci System offers pretty clear 3D surgical field for better resection of tumor and preservation of the nearby tissues. Its robot arms can bend and rotate far greater than the human hands. As a result, da Vinci System enables surgeons to operate with enhanced vision, precision and control. The latest generation System is equipped with fluorescence imaging which further helps surgeons accurately identify the tumor location and its extention for optimal resection to reduce the rate of tumor recurrance or metastasis. Diseases such as urinary incontinence, uterine or rectal prolapse, heart valve lesion and other degenerative conditions which are popular in the aging society can also be well managed using the da Vinci Surgical System.